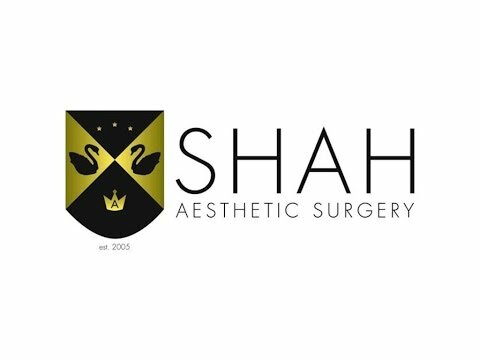 Hi there, it's Dr. Shah from Shah Aesthetic Surgery, and today's topic is going to be about rhinoplasty recovery. When discussing rhinoplasty recovery with patients, we do like to make sure that patients are optimized from the beginning of the operation. That starts with the preoperative evaluation. When I evaluate a patient, I want to make sure they're safe for surgery. They have to be health and they have to be of an age of consent. To get ready for surgery we have patients stop smoking, stop drinking, stop taking any drugs or nasal medicines that can cause wound healing problems like nasal cocaine or nasal steroids. We try to get people onto a healthy diet to maximize wound healing. That would include things like protein shakes, vitamin C supplementation, certain kinds of alternative supplements, and the use of vitamin K. During surgery, to make sure the patients are able to heal as quickly as possible and try and keep recovery as efficient as possible, there are things that we do pay a lot of attention to. Of course, trying to make sure that the patients have really stable blood pressure during surgery to reduce bleeding and reduce swelling are very important. Meticulous attention to detail during surgery helps reduce the risk of later wound healing complications and need for revision surgery. Finally, I'm very, very, very much opposed to excessive bleeding, because I know that it can create a lot of problems both in the final product and during surgery, so meticulous attention is paid to hemostasis. I will often, after cleaning out the nose prior to closing it, will flush a little bit of dilute steroid solution into the tissues so that they don't experience as much swelling in that first week of recovery. It's worked out very well for my patients. At this point, I've had no complications, such as wound healing problems. 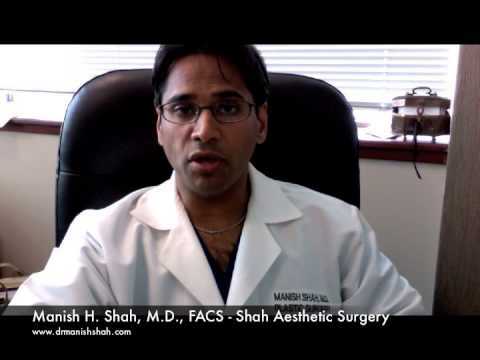 The postoperative segment of rhinoplasty recovery is, frankly, the longest. I mean, it will take up to a year for a first time rhinoplasty patient to see their final results. Now, for revisional rhinoplasty patients, it could take much longer than a year, because of changes in blood supply and scar tissue burden from previous rhinoplasties. 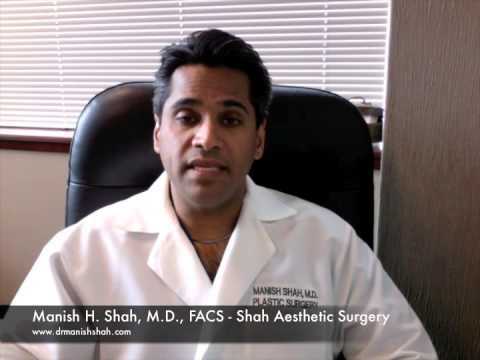 In the initial, or first time rhinoplasty patient, also known as a primary rhinoplasty patient, I like to break down their recovery into three basic phases. Obviously, they have surgery, they have their operation, and they get sent home, usually, with a splint on top of the nose and some type of nasal drip pad on the outside. Occasionally, we'll put some packing in the nose. Occasionally, if I do a lot of intra-nasal breathing reconstruction, I will leave what are called Doyle nasal septal splints. They are silicon rubber splints that hold everything in place on the inside of the nose and allow for the creation of really nice patent airways to allow for good breathing capability. Patients are going to keep their heads in bed elevated for the first week. They're going to ice around the eyes, and they're going to use my preoperative rapid recovery system. After that first week, they come into the office and we remove the external nasal splint that's been molding their skin. If they had an open rhinoplasty, they have sutures that need to be removed, and those are removed by myself. If it's time to remove intra-nasal splinting, we will remove intra-nasal splints at that time. For the next two months, I have patients using night-time soft tissue taping techniques, and three times a day, soft tissue massage using tongue depressors. We allow them to sleep with nasal humidifiers and use nasal toilet or saline washing of the nose to make sure things stay clean. Patients are going to be congested for up to three months after surgery in most case, especially if intra-nasal work has been done. The upper two-thirds of the nose will settle down, typically, in that first two to three months. If the patient has had some type of nasal fracture, also known as an osteotomy, to narrow the nasal bones, it'll be between two or three months before those nasal bones are solidified enough. I have patients on activity restrictions that first couple months, because I don't want you getting hit in the nose and repositioning the freshly broken nose bones. Usually, after the first three months, I have the patients stop their nasal taping and stop the massages. It really doesn't make any changes at that point. The only thing we'll do to try and enhance recovery is take a look at the nose and see if there's been a lot of extra swelling in the nose, primarily in the nasal tip. In those situations, we'll often sometimes offer nasal tip steroid injections of what they call a dilute Kenalog solution. What that does is it helps decrease some of the scar in the nasal tip, improve the drainage of lymph in the nasal tip, and decongest it a little bit. After that first three months, a lot of patients will not really see any major changes for the next six months.